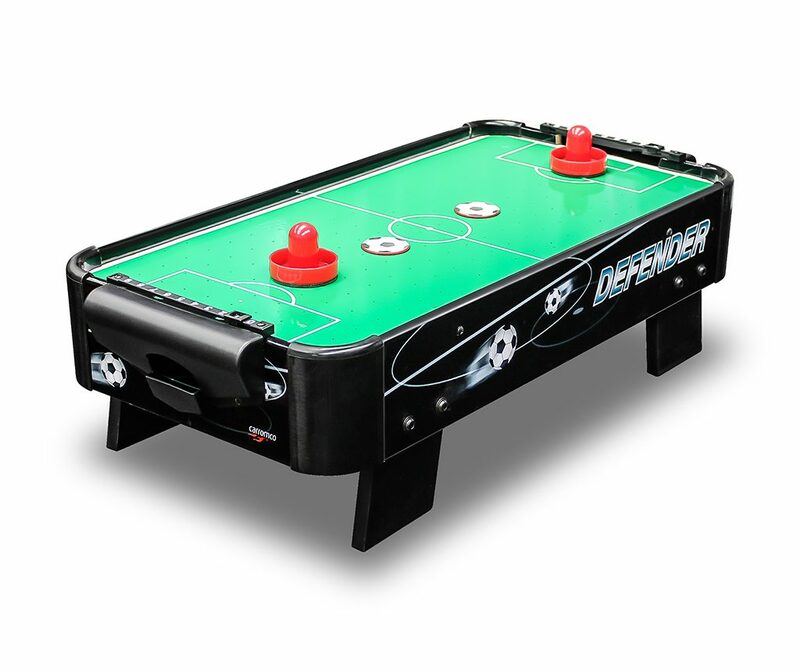 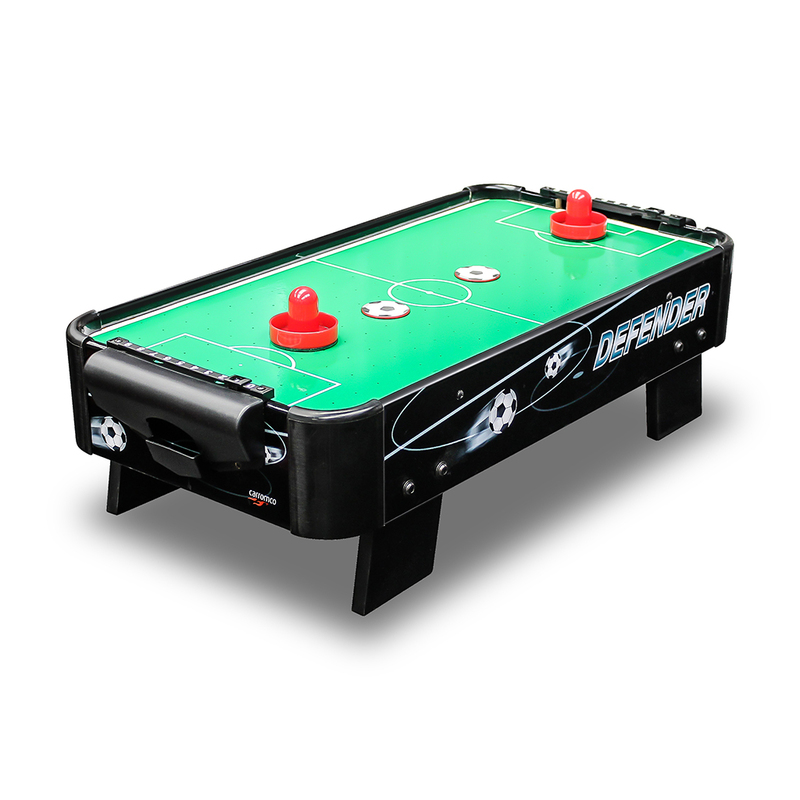 Air Hockey DEFENDER-XS | Products | Carromco - License To Play! 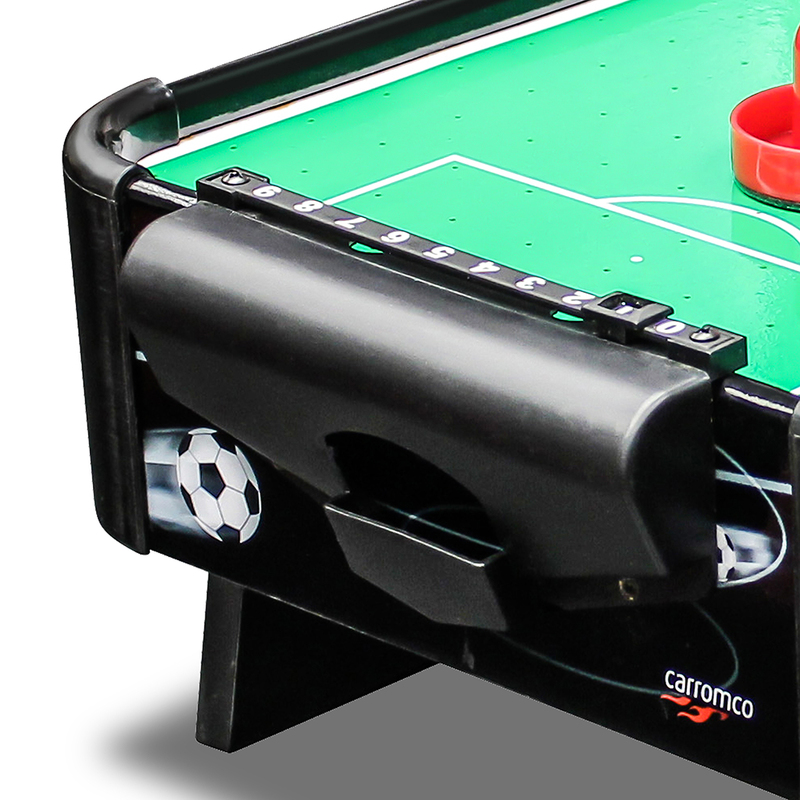 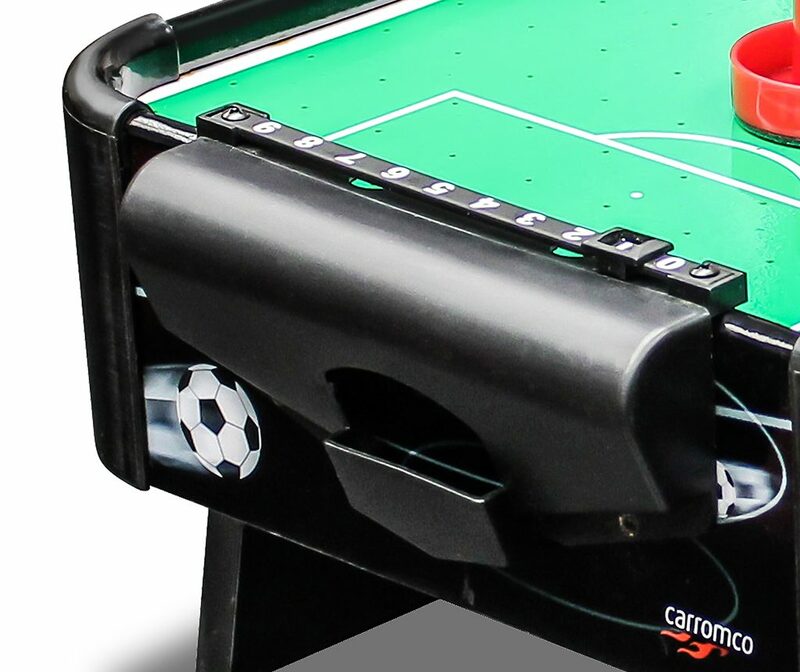 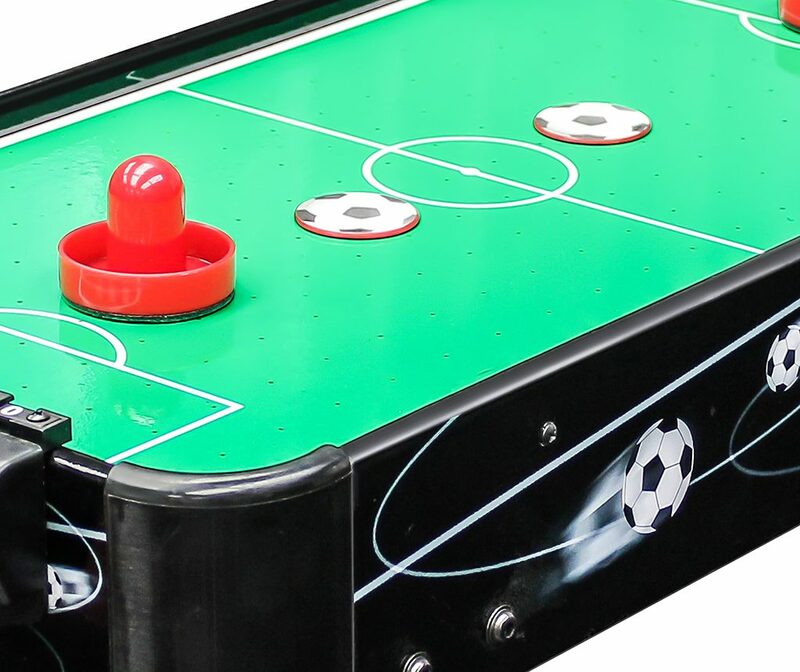 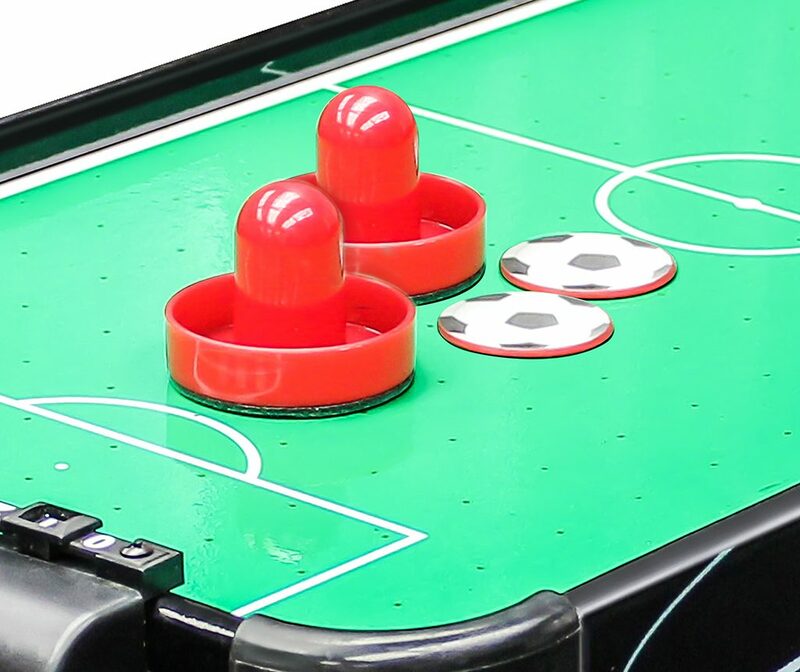 Carromco’s unique Airhockey Tabletop in football design! 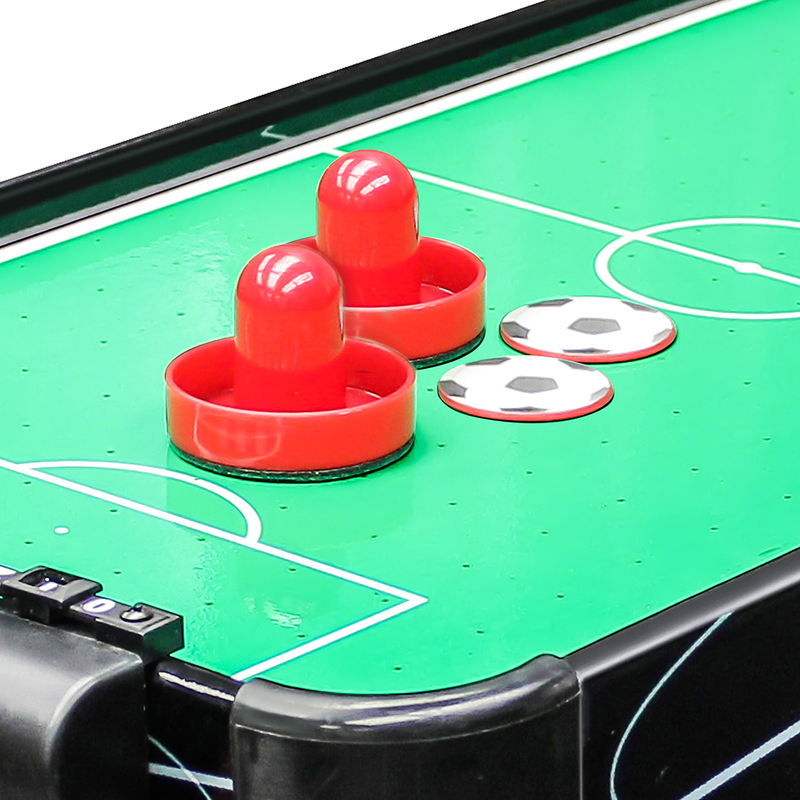 Green playfield of a football pitch and pucks with football print. 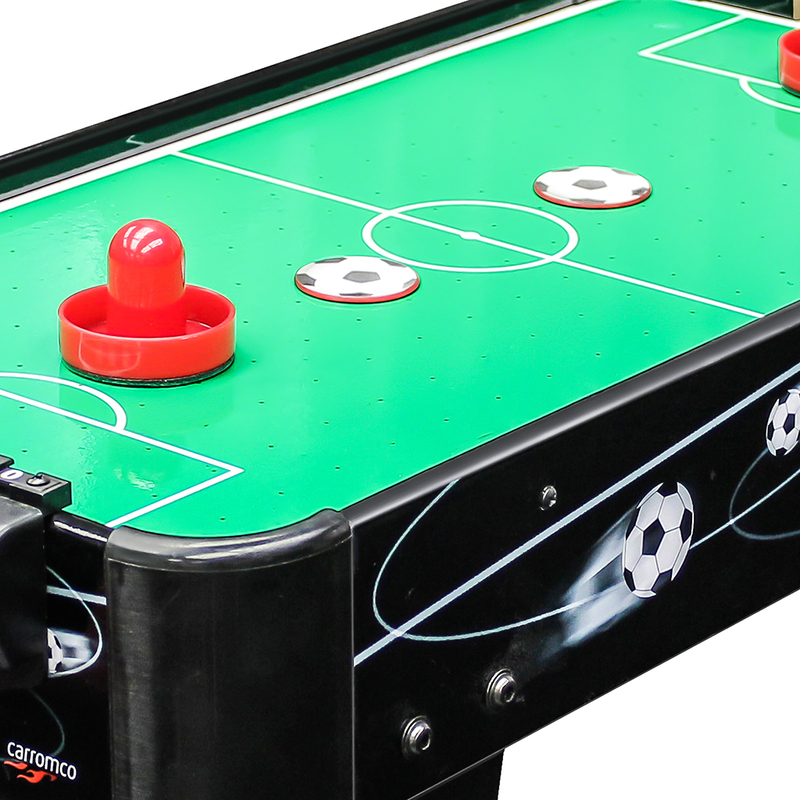 Rounded safety corners complete the look and 4 short legs complete the look.